I really hate to admit it but I do have to think about anti-ageing stuff a bit now, I was thinking about this the other day and I thought it would have been nice to have a bit of a grace period between worrying about spots and teenage skin and having to start thinking about ant-ageing, but nope – no grace period for me! The main thing I have as a concern at the moment is lines mostly caused by dehydration around my eyes, which is why hyaluronic acid is one of my favourite skin care ingredients – it really helps hold moisture into the skin, which in turn has a plumping effect…thus reducing lines. Some pretty big claims, but the total sucker for big claims in me is really curious! Who doesn’t want re-plumped, velevety smooth skin with the luminosity of youth… I have a tube of the latest product in the range, Vichy LiftActiv Serum 10 to test out, so I will be reporting back – but this is just a little heads up to those of you out there who are thinking about anti-ageing skincare. The LiftActiv Serum 10 contains a new ‘break-through’ ingredient ‘Rhamnose’ plus Vichy Thermal Spa Water and Hyaluronic acid and I have my fingers crossed for exciting results. 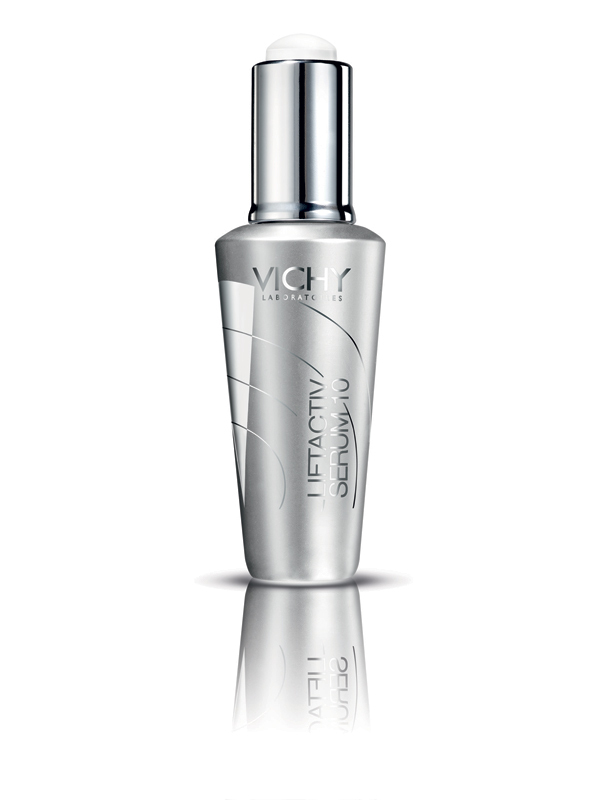 The Vichy LiftActiv Serum 10 is available exclusively at Boots at £29.50 for 100ml. I know what you mean, I still get the odd spot, and plenty of bumpyness, and yet I’m dealing with crows feet! Unfair! Ooo I’m very curious about this. I can’t wait to read about your results!